London South Bank University (LSBU) lecturer and Professor in Clinical Legal Education Sara Chandler has been awarded an Honorary Queen’s Counsel (QC), one of eight new appointees in England and Wales. The title QC (Hon) is awarded to lawyers and legal academics that have made a major contribution to the law of England and Wales outside practice in the courts, which has not been recognised through other forms of honours. Sara, a solicitor specialising in landlord and tenant law, was recommended for her work on pro-bono and human rights cases. Professor Chandler has been instrumental in developing the concept of a clinical legal education. This model sees students give pro-bono advice to the public, under the guidance of qualified lawyers. 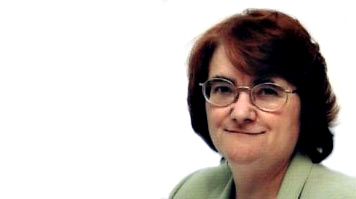 She has represented solicitors in the voluntary sector since 2002 on the Council of the Law Society of England and Wales. As a result she is a trustee of four legal charities, including the Access to Justice Foundation. She has worked as a solicitor in law centres, legal aid firms and university legal advice clinics, such as the Legal Advice Clinic at LSBU where she now works. Sara has also made a major contribution in the field of human rights and was the winner of the LUKAS Human Rights Worker of the Year Award in May 2014. She is a past Chair of the Law Society’s Human Rights Committee, and former President of the Human Rights Commission of the Federation of European Bar Associations (FBE).